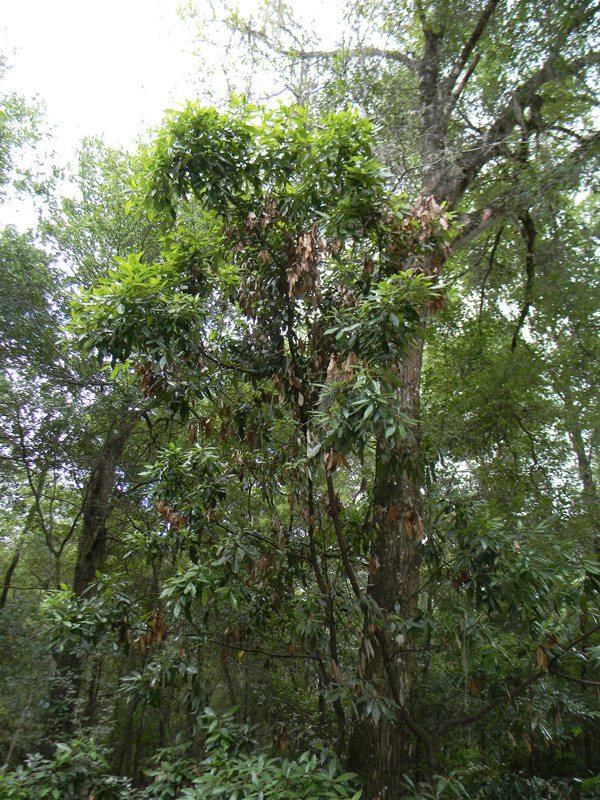 Florida Survival Gardening: Laurel Wilt: Killing Bay Trees, Avocados and More: Fight back! Laurel Wilt: Killing Bay Trees, Avocados and More: Fight back! Most of the bay trees in my neighborhood have been wiped out by Laurel Wilt disease over the last few years. I've also seen multiple avocado trees knocked out by this blight. It isn't cool. Growing avocados used to be easy provided it didn't get too cold. No longer. In the last few years we've picked up major problems with citrus (greening), avocados (laurel wilt) and ended up with a nasty and voracious fruit-tree eating beetle (Sri Lankan Weevil) as well. I would love to cast blame somewhere, but the only thing I can really blame is international trade rather than local production. Anyhow, avocados are no longer a good choice for your yard. They tend to hit hit by beetles as they near maturity and really get into bearing age, say around 6 years or so. 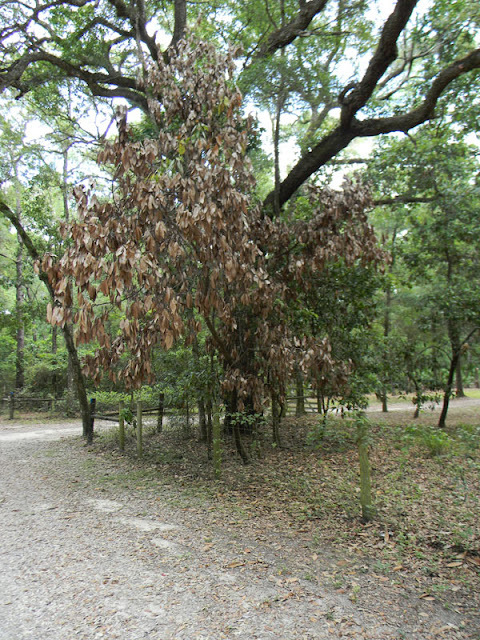 Younger trees are generally less affected. No matter how hard we work at our gardening, there's always something new right around the corner that wants to destroy what we build. Just another proof that this world isn't paradise. Plant extra trees in case something happens to one or two of them. Plant a wide variety of crops. Don't do monocultures. Start trees from seed and plant them everywhere. Keep an eye on everything. And don't count on any one thing as a sure thing. Going for a permaculture approach makes a lot of sense. If you're looking for a place to start, I highly recommend Toby Hemenway's book Gaia's Garden. Buy a copy and prepare to be inspired. Good luck keeping things alive. Savor that guacamole when you can get it. Ya man that disease wiped out a ton of Florida red bay trees near one of my dads properties in central Florida. Good thing is that there are tons of baby trees coming up. Hopefully the disease and beetles run their coarse before the little trees get large. Here in Sarasota there isn't many if any native bay trees so I cannot tell how the disease is effecting this area. Tons of avocado trees around but they seem as healthy as they've ever been really. Hopefully they continue to thrive. Some well producing trees around here. Luckily there are tons of other fruit trees here. The citrus though has taking a beating across the board. Most trees appear to be dying and or are just crappy looking. Yet they still produce for the time being. I only have a plumelo in my yard and two avocados. All are too young to produce yet. I assume next year maybe my seed grown star fruit will fruit. Approximately 3-4 years old and getting quite large. Fingers crossed! I have three baby avocado trees, which I am going to put in three opposite corners of my 1/3rd acre yard. I don't know if that will help but MORE TREES GOOD, right? Good luck. Extra nutrition may help with the citrus... I've heard that's one angle growers are using.